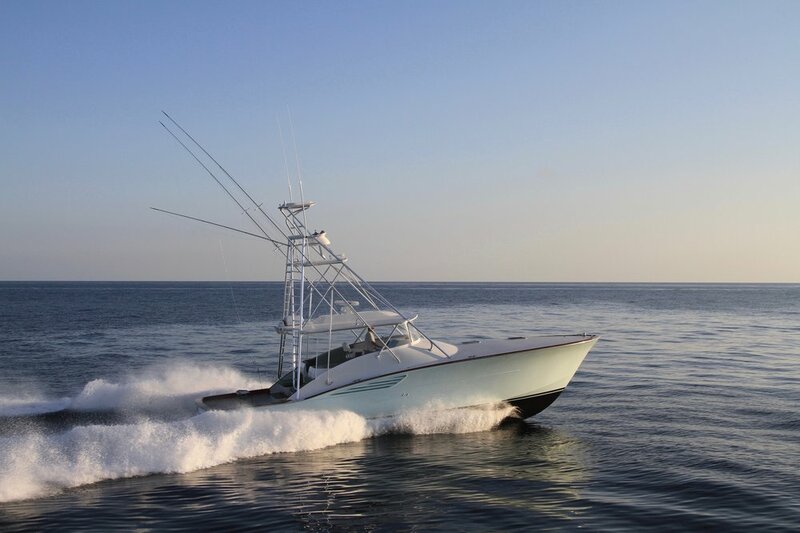 With all the features and handling characteristics of our 44' and 61', the 49' Express - is a Larger express one that can efficiently travel long distances with ease and just as important, fish well. 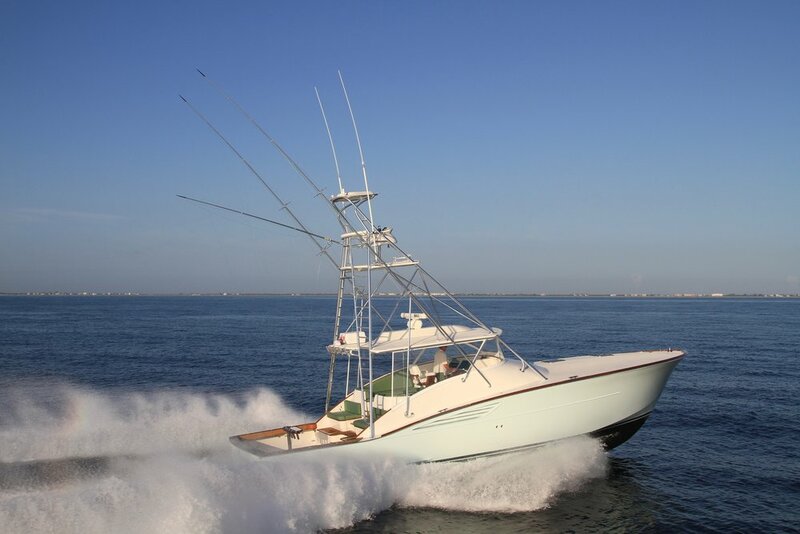 She performs well inshore and off. Her stylish and efficient design makes her the perfect all round express fisherman. Cockpit Area: 120 sq ft approx. Displacement (half load): 35,000 Lbs. This area is where it all happens. Over the years these typical Garlington Landeweer Cockpits have evolved to large workspaces. Today they are well known for their efficient design, spacious decks, large fish boxes and freezers. The mezzanine layout, with refrigerated/insulated drink boxes, brings a level of high comfort and extra workspace. 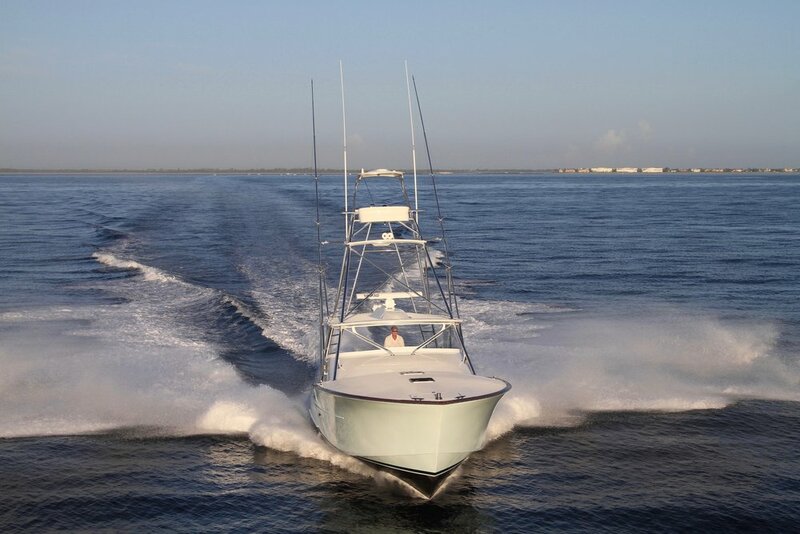 In the center of our sport fisherman yachts it is all about the perfect mix between comfort and function. 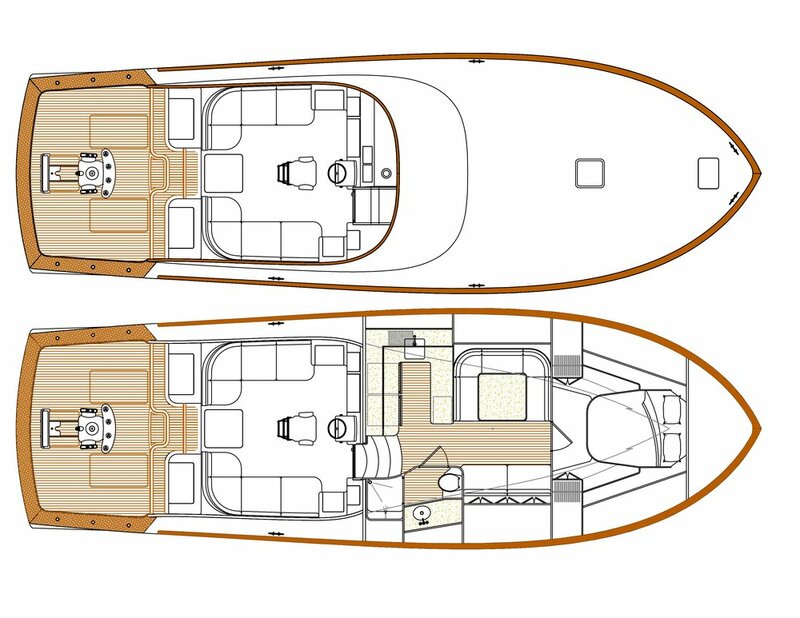 With an unobstructed 360 degree view it becomes clear how well the boats are proportioned. 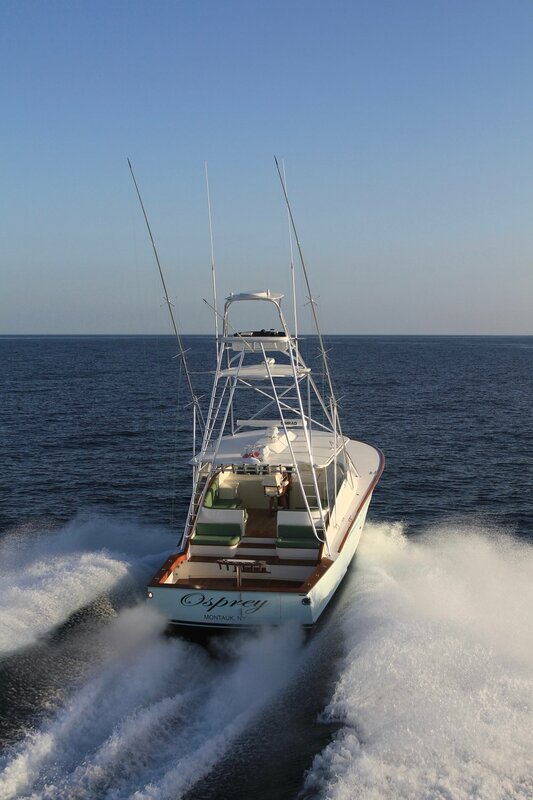 From the luxurious and comfortable captains chair all systems and checks are within easy sight and reach. 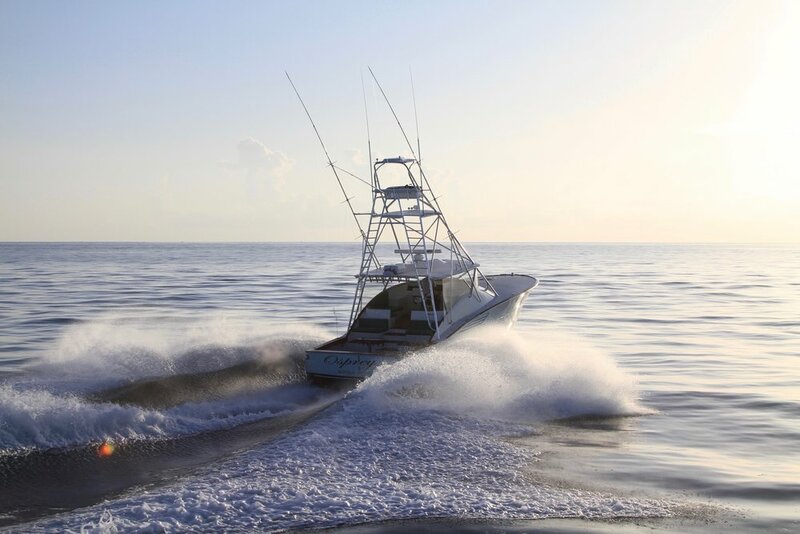 For relaxation during travel or after a hard day of fishing our spacious interiors offer peace and comfort. The modern designed amenities, sufficient room and stowage provide extra luxury for extended cruising.